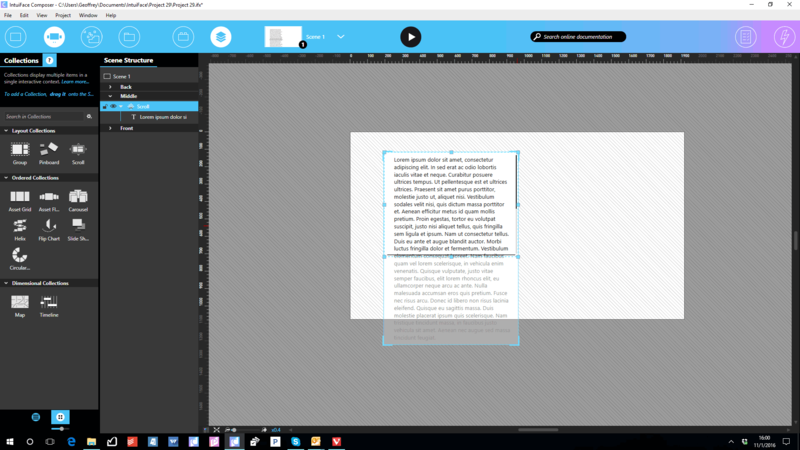 This article describes how to create scrollable text in Intuiface. Scrollable text is text that overfills its container, requiring a drag (of mouse or finger) to move additional text into view. 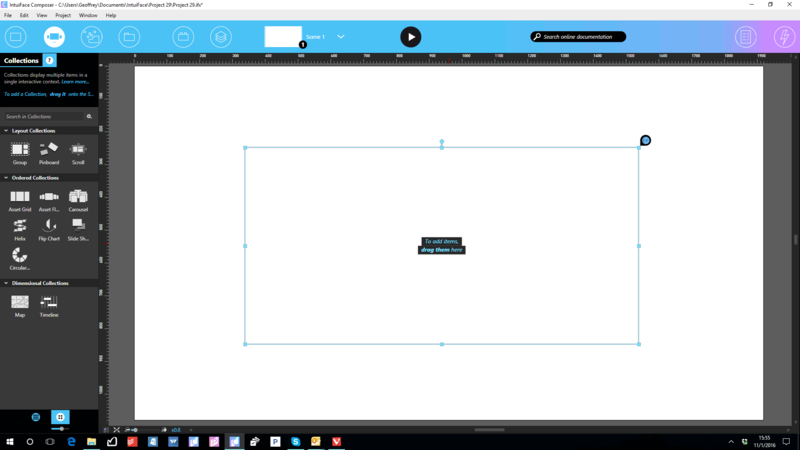 In the following example we create vertically scrolling text. Add an empty Scroll Collection into your scene. The Asset Grid collection will be your scrollable text zone. Add a Text Asset onto the scene and paste your text into it. Resize it vertically so it will display all of your text. 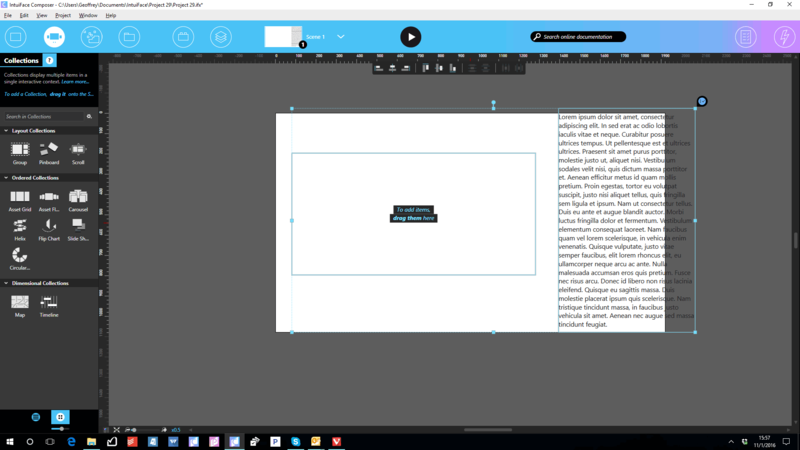 Put the Text asset inside the Scroll Collection and then resize the Scroll Collection so it is as wide as the Text Asset and as tall as the amount of text you wish to reveal without scrolling. Set the "Scroll direction" property of the Scroll Collection to "Vertical". You now have vertically scrollable text. Enter Composer's Play Mode to see it in action.